Meraki Salon Suites: Your Business, Your Way! At Meraki Salon Suites, we strive to provide the space you need at a price you can afford. 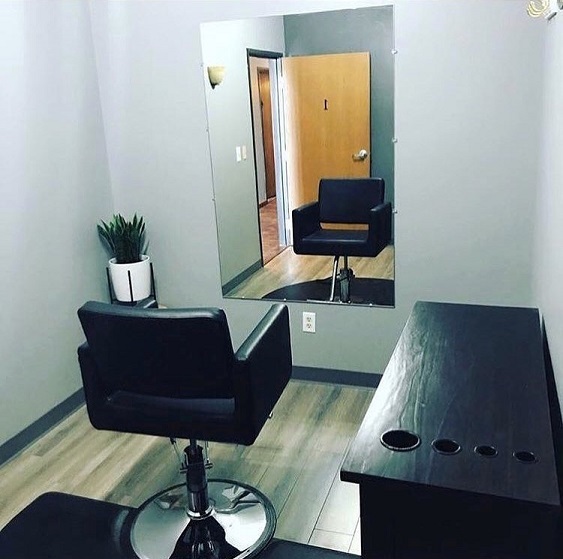 All of our suites are newly remodeled and perfect for any stylist, message therapist or esthetician looking for a relaxing, modern and affordable environment to run their business. Beverages are provided in our spacious waiting area, and a break room is provided with a microwave and refrigerator. Each suite has it's own lock as well as lockable storage cabinets for peace of mind. We are located in the busy Sawmill Point shopping center where there is large potential for growing your business. It's also perfect for the already busy professional who needs a new space! Contact Jen at (614)554-2426 or fill out the "Contact Us" form to tour your new salon suite today!